In this episode of The Buckeye SloopCast, Jared and Kyle talk Buckeyes and Beavers. 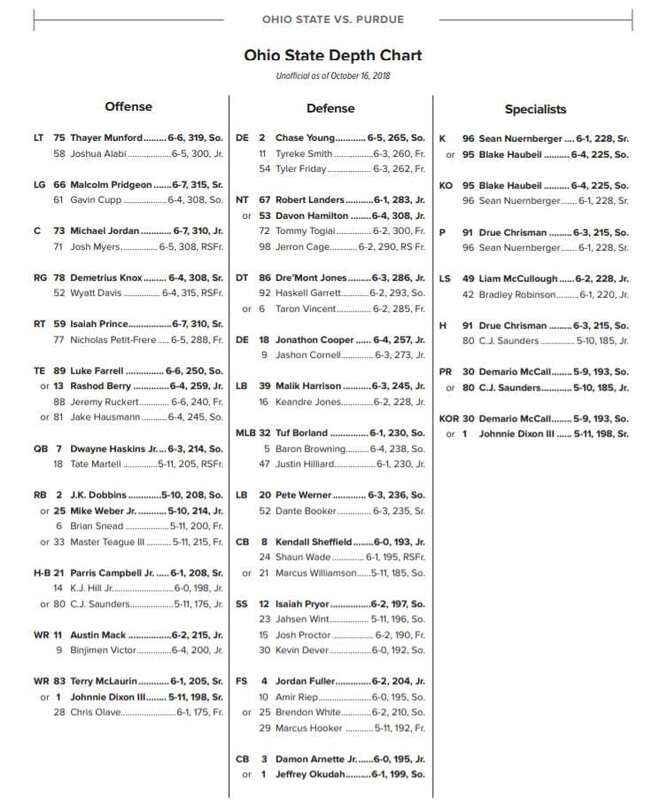 The go over the Ohio State depth chart. What stands out, what concerns them? The fellas then take a good, long look at the game ahead. How much will Tate Martell play? Should the Buckeyes start burning redshirt right out of the gate? There are also some good-time predictions for all to enjoy. And a whole lot more as well. How many QBs will play for #OhioState this weekend? Is this a good game to get the redshirts some time? Does Oregon State stand a chance in hell? Bigger day… Weber or JKD? Is Benny Beaver to the MVP?